India Kawasaki Motors (IKM) has launched its 2019 models of motocross and enduro motorcycles in the country. 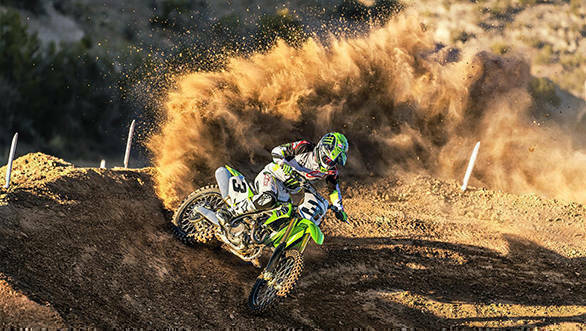 The 2019 Kawasaki KX250 has been launched in India at Rs 7.43 lakh. 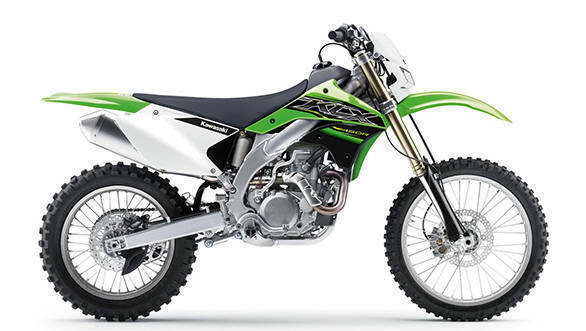 Similarly, its larger sibling, the KX450 has been priced at Rs 7.79 lakh, while the KLX450R enduro motorcycle is priced at Rs 8.49 lakh (all prices ex-showroom). All the three motorcycles receive various updates for the 2019 model year. The 2019 KX450 benefits from a new engine mounted in its leanest chassis to date. It sports a number of new features  including finger-follower valve actuation, electric start and a hydraulic clutch, which are all firsts for a Kawasaki motocrosser. Suzuki had also launched its range of dirt bikes in the country. The 2019 KX450 now has a new lightweight aluminium perimeter frame, with revised rigidity. With the addition of an electric start and the return to a coil-spring fork comes some addee weight, so the company has made efforts to keep the weight gain to a minimum. Kawasaki also gives increased front and rear traction to ensure the KX450 can put its power to the ground and get around corners quickly. A new front brake master cylinder offers better initial control. It also features all-new bodywork designed to better facilitate rider movement. KLX450R, an LED rear light has been fitted for rear visibility along with digital instrumentation which includes a speedometer, twin tripmeters, odometer and clock. Yutaka Yamashita, MD of IKM said, "Our motocross models have been performing well in various national and global competitions. 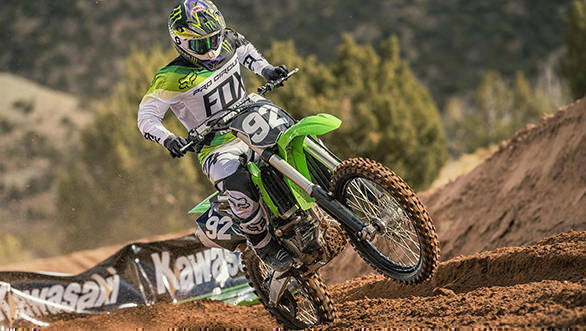 Motocross enthusiasts now will have more exciting experience with KX450 and KX250 and as far as enduro enthusiasts are concerned, the KLX450R is a complete package with power, electric start and performance components."